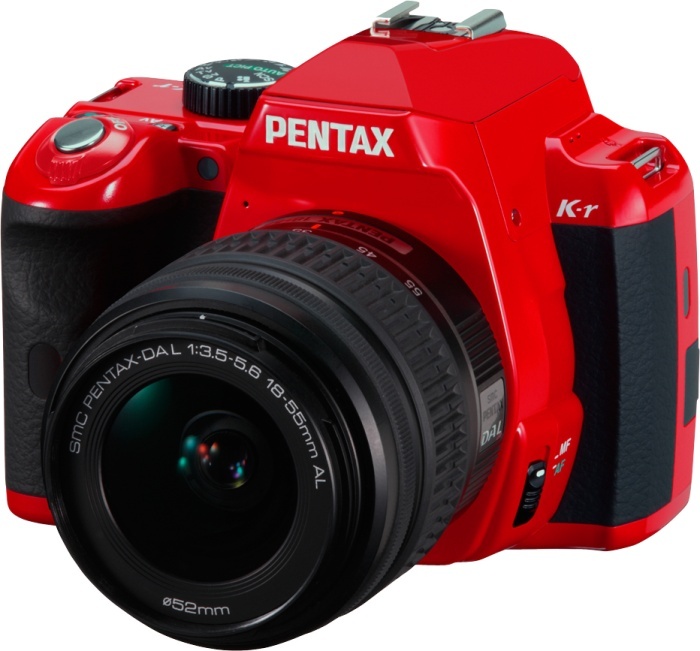 Pentax has created a worthy competitor in the entry to mid-level dSLR categories, with pleasing image quality, speedy shooting performance, and improved Live View performance compared to past models. This camera will appeal to a wide variety of photogs, whether you're a seasoned vet or just entering the dSLR world. Read more in our Full Conclusion. 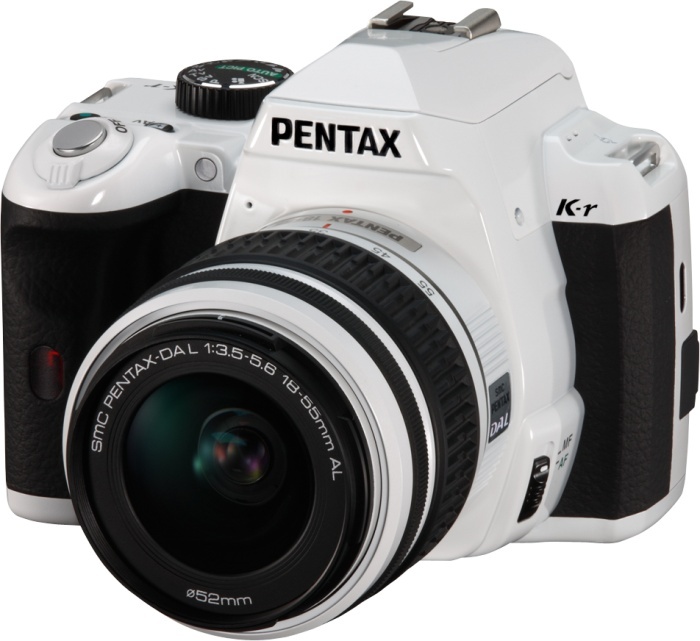 Pentax's K-r is their latest entry to mid-level dSLR model (as of 03/2011), which boasts some impressive features, such as a stainless-steel chassis, and a variety of color choice options. The K-r records images at 12-megapixels with a fast CMOS image sensor, along with 720p HD video and burst rates up to six frames per second at full resolution. The camera comes with a 3.0-inch, 921,000 pixel LCD on the back as well as Shake Reduction & Dust Removal mechanisms. The CMOS sensor offers sensitivity settings of 100 - 25,600 as well as several in-camera processing functions for adjusting photos. $999.95 US for the K-r Double Lens Kit w 18-55mm and 55-300mm lenses. Check our online vendors below for actual "street" prices.